If you were to imagine prams as sports cars, the iCoo Acrobat would be the top ranking Lamborghini. Sleek, dripping in style and packed with luxurious leather touches, this ride is more than just a feast for the eyes, it’s also featherweight and a dream to drive. I mean push. 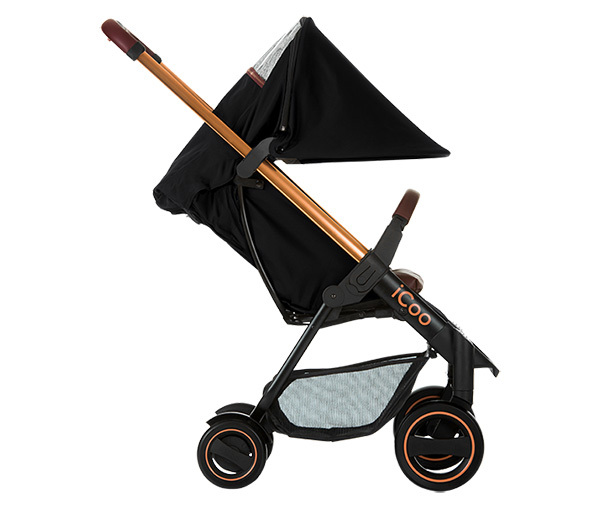 Copper is bang on trend right now and we’re not surprised the beautiful bronzed metal has made its mark on the pram market, but never did we imagine it would look quite so glamorous as it does in the form of the stunning, picturesque iCoo Acrobat pram. 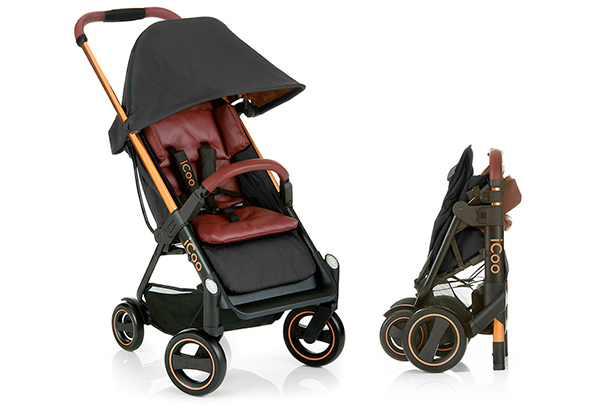 Not content with just the unique copper frame, iCoo took the copper touches a step further by including luxurious copper pram linings. Together with the leather seat cushion, leather trimmed push handle and front pram bar, it undoubtedly makes for an out-of-this-world lasting impression. Weighing in at just over nine kilograms, the iCoo Acrobat is a breeze to push. Large swivel front wheels make for an easy ride on uneven ground and the height adjustable push bar makes for comfortable steering no matter the parent’s height. A large sun canopy and super easy fold are seemingly the icing on the cake, but the practicality doesn’t stop there, the iCoo Acrobat is part of an awesome travel system. Teamed with the German engineered iGuard35 Infant Car Seat, the iCoo Acrobat travel system is the ultimate way to get your baby from point A to point B in luxurious style. 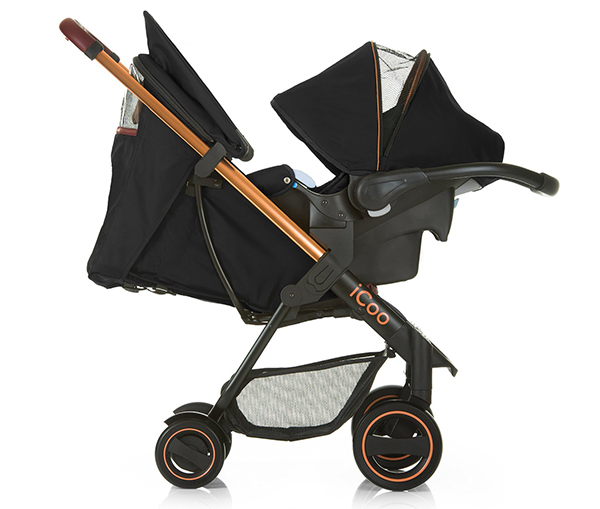 Available locally, you can purchase the complete travel system – iCoo Acrobat pram and iGuard Infant Car Seat in stunning copper and black, directly from Zoxoro, price $2486.